If you are trying to design/add amazing page transition effects for your apps/websites, here is a free collection of 20 page transition examples for your inspiration. Smooth and creative page transition effects of a website/mobile app help to grasp visitors’ attention and enhance user experience effectively. If you are trying to design/add amazing page transition effects for your apps/websites, here is a free collection of 20 page transition examples for your inspiration. 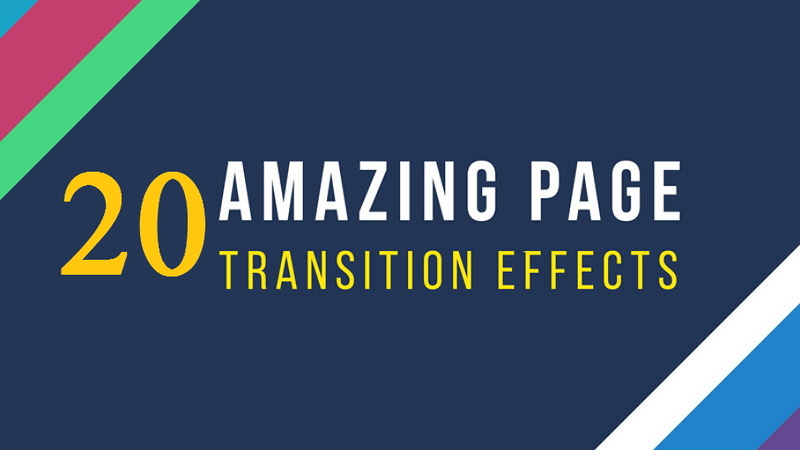 They all have used splendid page transition effects and will be very useful for your web/app designs.